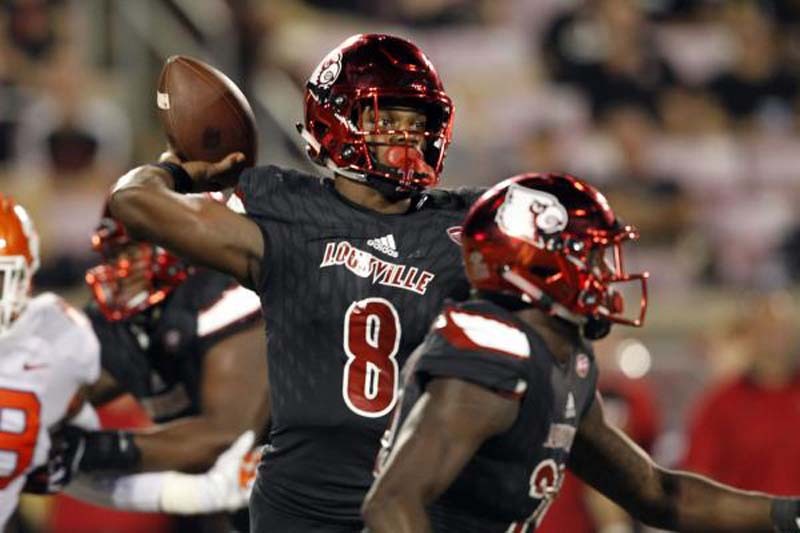 Baltimore Ravens first-round draft choice Lamar Jackson recently revealed that a Los Angeles Chargers scout asked the quarterback to try out as a wide receiver prior to the 2018 NFL Draft. At the time, Jackson denied rumors that one team asked him about working out as a wide receiver. However, he said during a podcast on the Ravens' website that it was indeed the Chargers that talked to him about changing positions. "It was a Chargers scout who told me about it," the former Louisville star quarterback said. "He was the first one to come to me about it. I'm like, 'What?' He caught me off guard with it. I even made a face at first like, 'What?' I thought he was trying to be funny but he kept going with it. So it just became blown out of proportion. "So that was the first time I heard it, I was like, 'What?' Like he was like, 'Oh, Lamar are you gonna go out for wide receiver routes?' I was like ... 'No ... I don't recall saying that, I don't remember telling you guys I'd go out for receiver routes.' I'm like, 'No, quarterback only.' So that made me not run the 40 and participate in all the other stuff." Jackson added that being asked to try out as a wide receiver inspired him to be a better quarterback. Joe Flacco remains the starter at quarterback for the Ravens. The team also has Robert Griffin III on its roster. Baltimore took Jackson with the No. 32 overall pick in April's NFL Draft. Ravens head coach John Harbaugh has said he wants to find a way to get Jackson involved in the offense.